After receiving a good feedback from the SEO Tips for Pinterest, here is the post that everyone is talking about. That's right the 'SEO Tips for Fashion Blogger' As a fashion marketing student myself, all I can say that I have learnt 10% from the class, and 90% of the real experience. The truth is there are many SEO tips and tricks emerging this year such as mobile friendly etc, however, I would love to share only the factors which work for my blog, The Equinox Fashion because I believe that we, bloggers can apply the tips by ourselves without spending a lot of money for others to do for us. I assume that most of us know about SEO or 'Search Engine Optimization' already, so I am not going to explain the description here. Have you received an email regarding 'SEO proposal' or something similar from the random companies or agencies ? I receive such email every week. Some of them may be good, but some can be tricky and untrustworthy schematically. Just to remind you, the bad SEO can cause a disaster to a small business as well. So, what should we do? We have to learn and pick what works for our blogs. 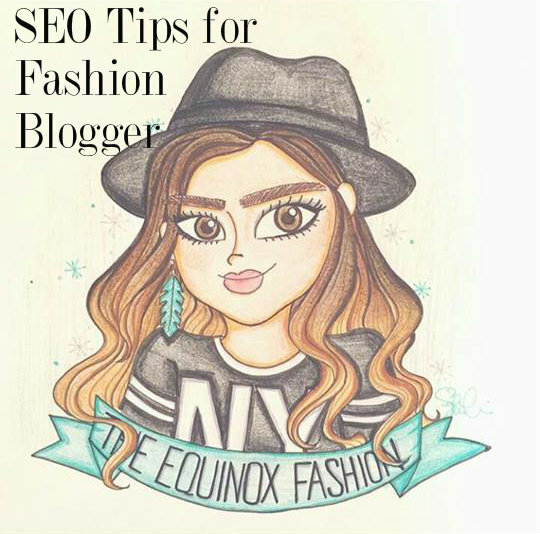 Here are some of the SEO tricks The Equinox Fashion has applied for a long time. I will always say 'content is the key' because it draws an attention from the readers to stay longer at our blogs. I know that we all have different contents to produce, but remember that the quality of the things we write is very crucial because you don't want the readers to visit the websites just to to scroll down, take a look at the photos and leave, right? If the readers think our contents are not interesting, so does Google. As a result of the good content, the visitors may spend a time on our blogs longer too. I believe that we don't want to have a high bounce rate for the website as well. As mentioned in many theories I have read, keyword is one of the important factors to improve the SEO or Google ranking. In each post, I usually add no more than two keywords because if we put too many keywords in our posts, Google will definitely think of them as a spam. So, be careful! Why adding a link is important? Because Google will be able to track everything! The more you link back to your main website, or whatever page you want to direct, Google will mark that your website is popular. This is why many fashion retailers ask bloggers to put their links when they do a blog post, because the more bloggers link back to their shopping websites, the more Google will rank them up. I always say the fashion blog is one of the practical marketing tools because it helps the other party improve SEO effortlessly. Great information very helpful have a lovely weekend. I knew about some of the mentioned tips! And some were really new to me! So thanks a lot for shraring, very informative post, Gail! Very interesting this post! Succeed with blogging is not easy but it is possible to do!! Those are some great tips! Will definitely keep them in mind. great tips, I had no idea about the keywords tip! Thanks for sharing, those informations are very useful! Thanks for sharing these tips with us. I do believe in the importance of content, I think it all starts there! Aw it's really useful dear! Thank u for sharing to us:) Anyway where do you study? It's true. Experience is the best teacher. sure to keep them in mind . these tips are great. Great tips, thank you for sharing this. it's very helpful. very helpful post for us bloggers. I do appreciate you sharing it. I agree about the content, it is important to try to do our best in that sense and make the people want to stay on our page. Gail, I love reading your blogging advice posts!! I'm always learning something new from you :) and I didn't know you started your blog because of music, that's so cool! Thanks for this tips. I didn't know about too many keywords! Thanks so much for taking the time to answer Gail - totally get it now! Have a lovely week! Amazing!! OMG great post, can't wait to read the next one! !